Buy Ricola Swiss Herbal Sweets Original - 32g in the UK from our online shop or directly from our independent Scottish store. Ricola original herbal sweets contain all the goodness of 13 herbs. 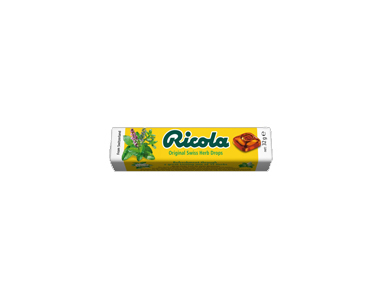 This classic Ricola product has a distinctive cube shape and fine herb flavour. Where can you buy real Ricola Original 32g safely online? If you are wondering where you can buy Ricola Swiss Herbal Sweets Original - 32g safely online in the UK, then shop with us. Ricola Original 32g - Ricola Swiss Herbal Sweets Original - 32g in Sweets and Confectionery.